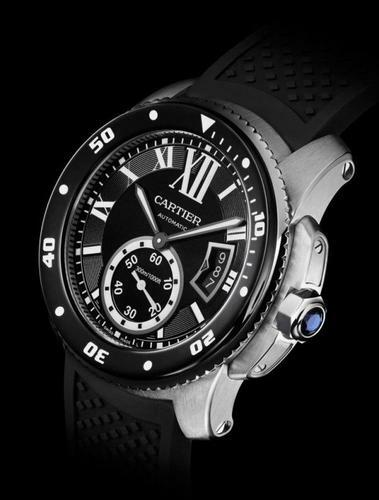 Cartier’s signature diver watch, the Cailbre de Cartier is a magnificent piece of equipment. It is no mean feat that this watch meets the ISO 6425 (International Organisation for Standards) standard for a diving watch when many other diving watches do not meet this high standard. It is tested for overpressure and sudden changes in pressure, plunged to a depth to 375 metres within a minute, subjected to magnetic field testing, pressure tested on the case, crown and straps. It is also visible in low light. All in all, a beautifully designed time piece that will stand the test of time.